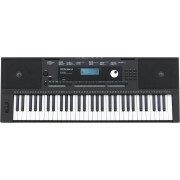 The Roland JUNO-DS61 61-key synthesizer sports all of the quality sounds, intuitive operation, and portability of its predecessor, along with improved pianos, additional organs, waveform expansion capability, Phrase Pads, new vocal effects, and more. You can download over 1,000 free sounds, including top-quality acoustic piano collections, world instruments, percussion, and loops, and load them into the JUNO-DS61 via USB. You can call up sounds on-the-fly or use the JUNO-DS61's adjustable parameters and real-time controls for custom patch-building. Eight Phrase Pads let you supplement your performances with samples and music files. 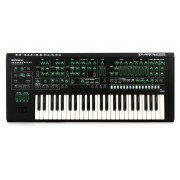 Great for stage musicians and sound-tweakers alike, the Roland JUNO-DS61 is a phenomenal portable 61-key synthesizer! Everyone from performing pros and educators to music producers and home hobbyists will find something to love about the Roland JUNO-DS61. First of all, it's packed with great sounds. It's also highly portable, thanks to its light weight and versatile battery or AC operation. On top of that, it's also a cinch to use, and it works well with any style of music. 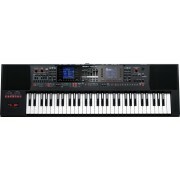 The Roland JUNO-DS61 includes the entire 1,000+ sound set from its predecessor, along with improved pianos and a plethora of new organ sounds. We were delighted to learn that the JUNO-DS61 is compatible with all of the previous-generation JUNO-Di's patches. That means that longtime JUNO users won't have to start from scratch! 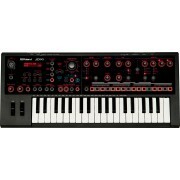 If you're a stage musician, the Roland JUNO-DS61 gives you tons of easy-to-access sounds right out of the box. That being said, the JUNO-DS61's adjustable parameters and hands-on controls provide you with plenty of opportunities for experimentation. Whether you want to call up fantastic sounds on-the-fly or tweak your own custom-built patches, the JUNO-DS61 gives you everything you need. Not only does the Roland JUNO-DS61 come with a massive collection of top-quality sounds, its internal waveform expansion capability gives you access to over 1,000 free EXP sounds that you can download from Roland's Axial website. You can download acoustic piano collections, world instruments, go-to studio standards, percussion, loops, and more. You can also load your own WAV files into the JUNO-DS61 and play them from the keyboard. 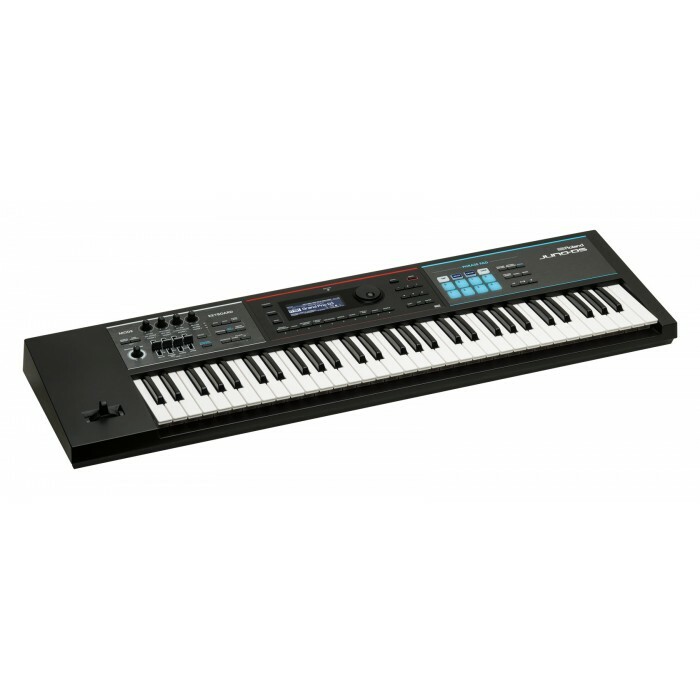 The JUNO-DS61's wave expansion slot comes preloaded with the versatile EXP-06 Studio Collection to get you started. Performing keyboardists will find plenty to be happy about with the Roland JUNO-DS61. Its eight Phrase Pads allow you to supplement your performances with samples and music files that are stored on a USB memory stick. You can load up just about anything, including one-shot samples, vocals, sound effects, loops, and complete music tracks and trigger them with a touch of your finger. The Roland JUNO-DS61's microphone input is tailor-made for solo performers and singer/songwriters. 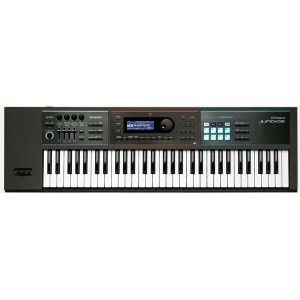 First of all, it provides you with a dedicated vocal reverb to add depth and ambience to your voice. You also get Auto Pitch, so you can create the popular "stepped" electronic vocal effect. Plus, you get a vocoder, allowing you to sing into your mic and control the tone and pitch of your voice via sounds played on the JUNO-DS61's keyboard. With the Roland JUNO-DS61, you'll never have to worry about losing a musical idea, thanks to its onboard 8-track sequencer. The sequencer's easy-to-use controls and non-stop operation ensure that your creative flow isn't interrupted, so building up full arrangements with multiple sounds becomes child's play. You can also use the JUNO-DS61's sequencer to enhance your live performances with pre-made backing tracks and on-the-fly looping. 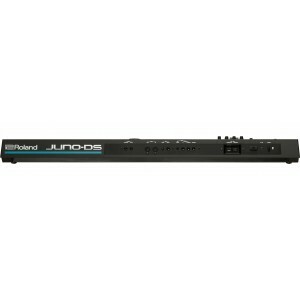 The Roland JUNO-DS61 makes a great front end for a mobile recording rig, thanks to its integrated USB interface. With the JUNO-DS61, you can record both audio and MIDI data, including sounds that are captured from the microphone input. You can even use the JUNO-DS61 to control your software with its dedicated DAW Control mode! Weight: 11 lbs. 12 oz.